An inspirational man once gave an inspirational speech which contained four words – “I have a dream.” That man was American civil rights activist Martin Luther King and that dream was for an end to racism in a free and equal United States. If you’re going to dream; you may as well dream big. 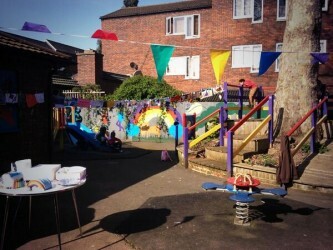 When E8 Community got in touch with us to say they were helping run a dream drawing event throughout March for kids on the Regent Estate we loved the idea of getting involved. They asked us if our bakers would be interested in providing cakes for the exhibition of the dreams. Thankfully our bakers were. Now we’re not talking dreams on the scale of Martin Luther King here, but when you’re a child, living on an inner-city estate in Hackney, having a tree house, or a beach, or even a cafe for superheros in your neck of the woods, matter as much as civil rights. Every Friday in March, Workshop 44 hosted dream drawing sessions, and boy, did the kids come up with some beautiful dreams. 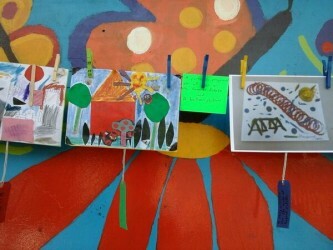 We even had a go at drawing our own dream – that every child in Hackney has a cake on their birthday. We ask a lot of our bakers and they never disappoint. 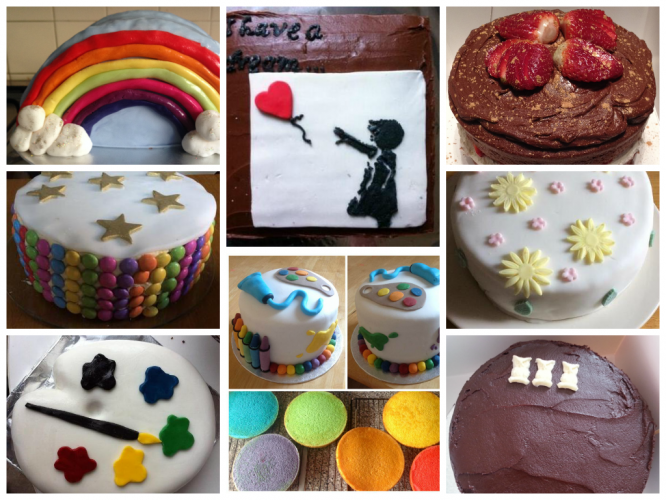 They really let their creativity shine and we had a Banksy, a rainbow, floral and starry masterpieces, loads of chocolately goodness and two cakes that were made to actually look like artists’ materials. They were totally awesome and to see the children’s faces when the cakes were delivered – not to mention when they were eating them! – was a treat. Sunny Saturdays playing with friends, surrounded by colour and drawings, on an inner-city estate in Hackney, eating cake which appears as if from nowhere is 100% what dreams are made of.